click on the photo for a large version. 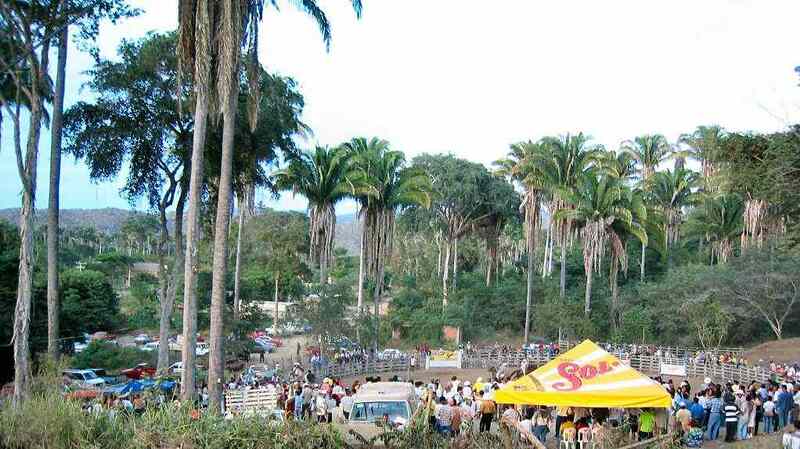 The celebration is called "Fiesta Del Toros La Manzanilla", and its purpose is to celebrate the town's birthday, the day when Mexicans were allowed to "own" land. When the Ejido land system was implemented after the machete wars took the land away from the Hacienda owners. The Haciendas were huge sections of land owned mainly by the Spanish. The Holiday is 4 days long. It starts on February 5th and ends on the 8th (dates can change slightly each year). Each day one particular group sponsors the festivities. One day the Ejidatario (the leaders of the Ejido) is the sponsor. Another day the gringos sponsor it (Each gringo chips in $150 pesos and the local Mexicans eat and drink for free that day) as a thank you to the town for being so gracious to all of us foreigners throughout the year. 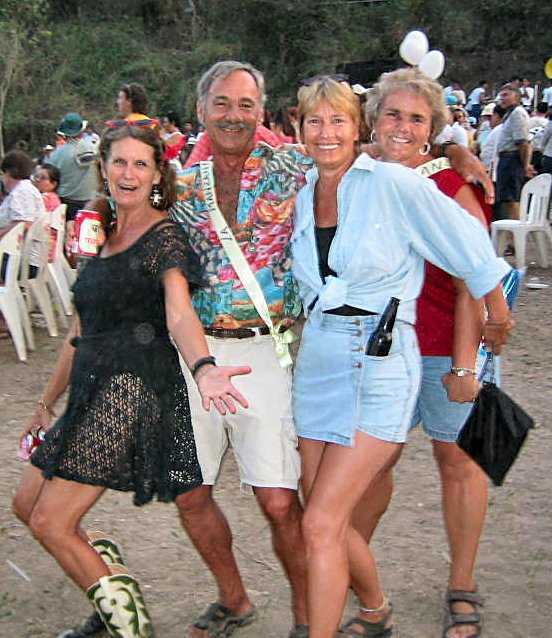 A very kind and generous man named Dave Godin has been in charge of Gringo day for the past 22 years! If you would like to be involved in the preparations for this once a year event please let Dave know. Here is Dave Godin suffering through another dia de gringos. 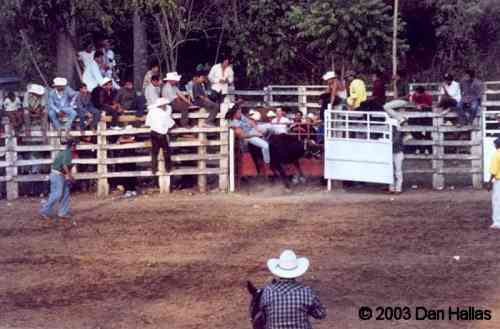 On gringo day gringos are allowed to ride the bulls. I did it once back in 1995 and it was very exciting. It is kind of dangerous but they usually give us a smaller bull to ride so we don't get killed and we hold on with two hands, but what a trip! When the real riders ride the big bulls it is very exciting and very dangerous. There are usually a few serious injuries each year. This is Marco riding a bull at gringo day last year (2002). Another day is sponsored by the Nortendos. They are the son's of the original members of the town who have moved to the United States. Each week they put away a part of their paycheck into a fund to be used for this day. Instead of flying down to La Manzanilla at Christmas time when the rates are high they wait for this festivity. 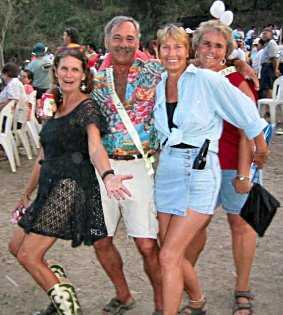 They bring their kids and the whole family to have family reunions and to party at the festival. It is a very special time of year for them. The last day is sponsored by any number of groups, it may be Tamarindo, the Revolsito (which is a town in Tenacatita) or the Colonos. The Colonos are persons who own land in La Manzanilla but basically use that land as a vacation home. From what I understand La Manzanilla was really developed around fishing and the Mexican vacation homes. Each day at 1 pm the festivities begin at the corner plaza by Yola's bar with birria (beef) and beer. When those run out (usually somewhere around 3:30) there is a parade to the Plaza de Toros. 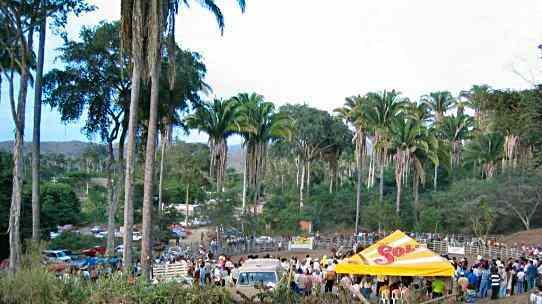 Plaza de Toros is set among the palms with a hillside behind it for the crowds to watch. You may also sit right on the fence, which is the best seat in the house. Watch what is going on though as you may have to move fast to avoid a pissed off bull! The hillside is also the place for the band and dancing, so you can party while you watch the action. Plaza de Toros is on the left side of the main road into town about 800 yards from Highway 200. 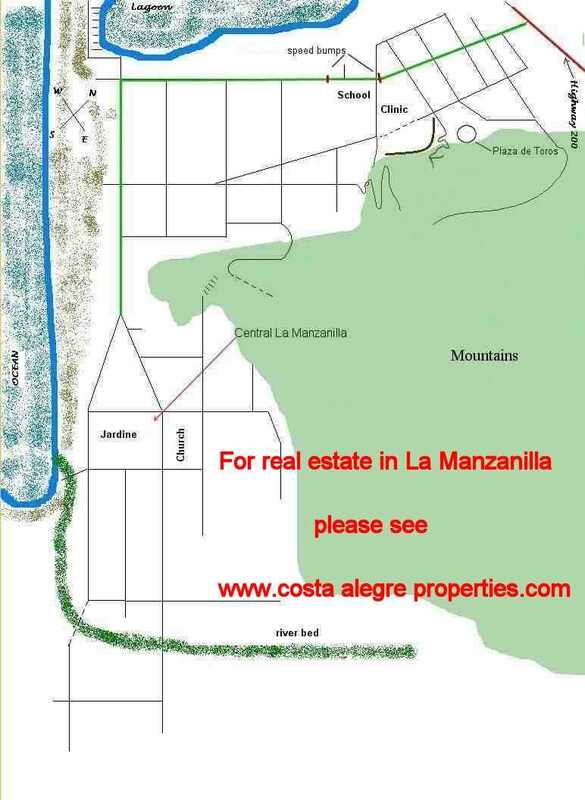 Click here for a map of La Manzanilla. The entry fee is around $50 pesos (Dave wasn't exactly sure how much they were going to charge). There is beer and food for sale, a live band, lot's of dancing, bull riding and horsemanship. A great time is had by all. I would like to have more photos of the festivities if anyone has some to send me. I could really use some help on the dates and details of the history. If anyone has more information or links to the information with the actual facts of the celebration and the dates of the Ejido inception, the war etc. please feel free to send me an email or to post it to the message board at www.lamanzanilla.info. The contents of this site are copyright © 2001, Daniel Hallas. All Rights Reserved.